It certainly has been a long time between journal entries for this one, however, it is moving forward. 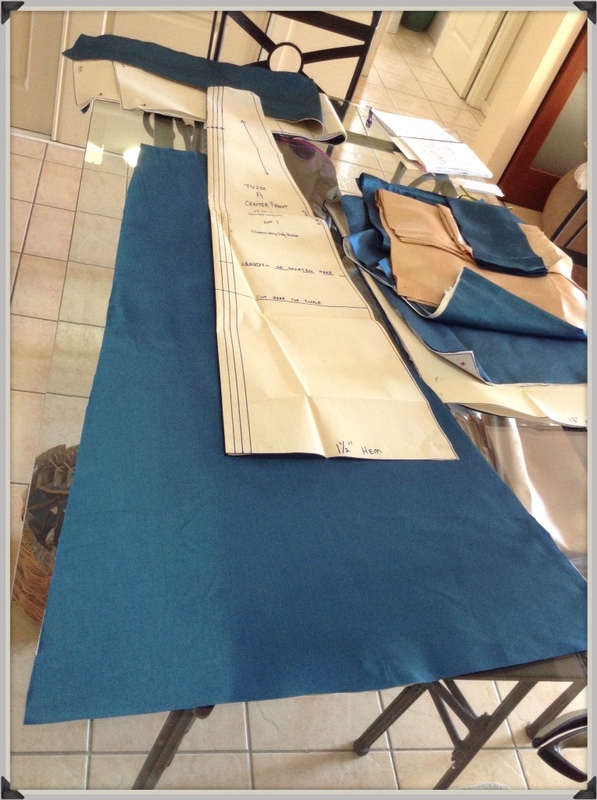 The sourcing of fabric was eventually done and had to fall back on gorgeous faux silk taffeta from Bangkok Thai Silk. 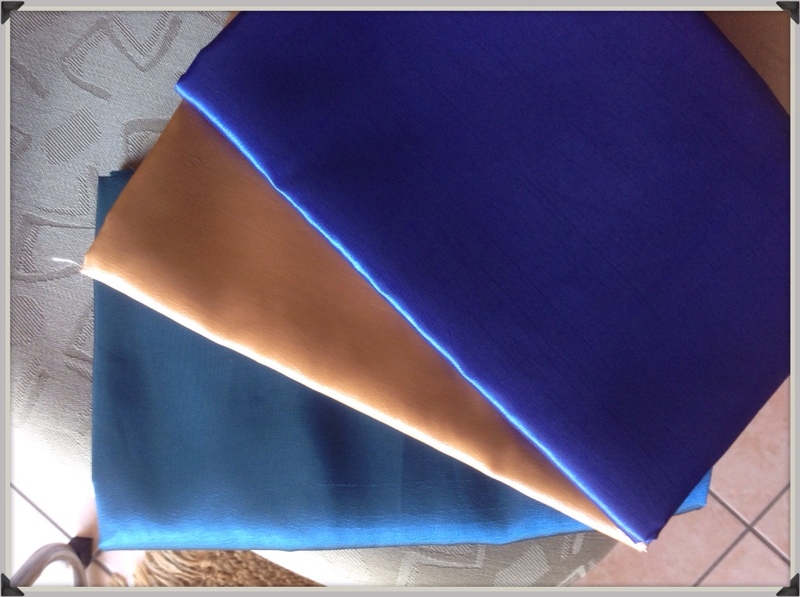 I have found the silks and other fabrics in the past to be of excellent quality and good pricing. With samples having been sent off to Texas Flower the choice was made to go with a blue teal and creamy gold. The royal blue was a little too dark and I just couldn't find that elusive powdery blue that I really wanted. Cool! Fabric ordered and arrived. Now the February challenge for Historical Sew Monthly was pleating and the furthest I got with this during the upheaval of false surgery starts and eventual surgery for Jack was writing 3 pages of notes, working out depth, widths of pleats, where to join, how much fabric etc. so technically I somewhat completed that task. Skip forward almost a month – clearing other 'simpler' work – and we have arrived at actual commencement of construction. Step 2. Clean table and commence cutting of fabric. 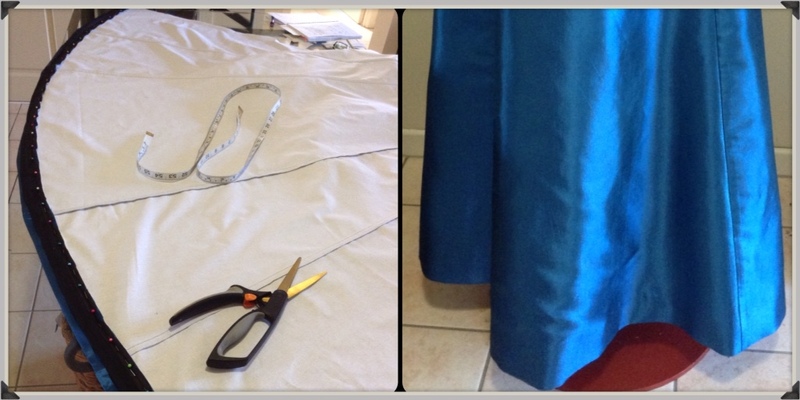 Cutting main body of skirt and pieces for gathering and pleating. Step 3. Just because it used to be done back in the 1800's and because now I would know it wasn't more authentic if I didn't do it properly, hand stitching hem facing to bottom of skirt front and sides. Step 4. 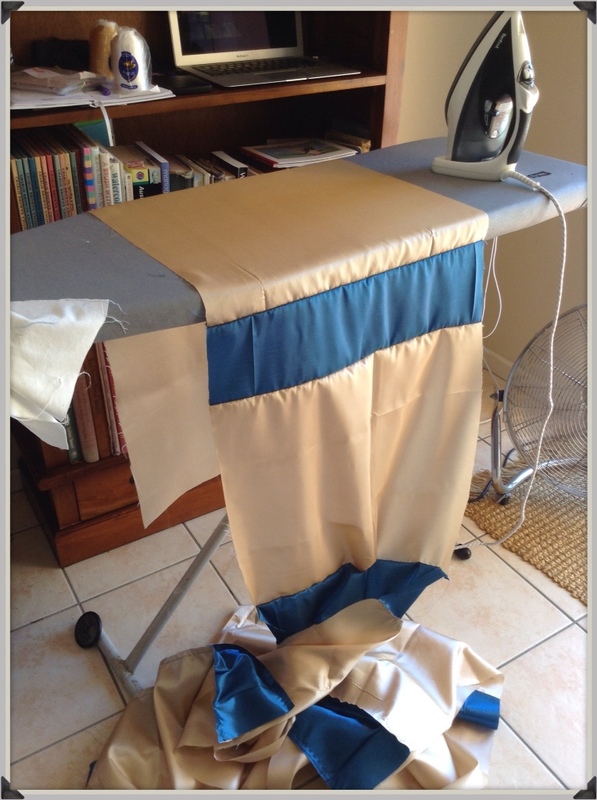 Toss up whether to do gather sections and pleats separate and then join………hmmmmm, nup, think I will join them all first. Pin ready for sewing. Step 5. Brings us to today, Tuesday 29th, stitch all sections together, stitch hem facings to back gather section and pleat section and all 19 front panels. Step 6. Hand stitch hem facings down. Back sections done (2.5metres) now to do the front – approx 6metres!! Yes I did say hand stitch. Now I've mentioned a back gather section and pleating. A quick glance at the photo and you'd be forgiven for saying, 'what the hell are you talking about?' But on closer inspection I realised that there is indeed an under section, just in blue, of a gathering layer and a pleated layer. Of course I can't leave it out, it's there so it has to be done. Anyway this is where I'm at with the lovely Texas Flower's dinner or reception gown. Still trying to find more information or museum critique to know exactly what it would have been worn as. Needle and thread are calling me! 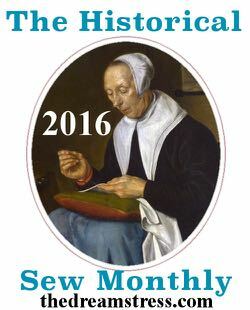 This entry was posted in Sewing and tagged Historical Sewing, sewing, Truly Victorian. Bookmark the permalink.